FiOS TV subscribers will be able to get the National Football League’s “NFL RedZone” channel when it launches Sept. 13. The premium sports channel will be available in both standard and high-definition. “We are thrilled to announce that Verizon FiOS TV is the first major telco distributor to carry our new NFL RedZone channel,” said Kim Williams, chief operating officer for NFL Network. NFL RedZone brings viewers real time insights and coverage of Sunday afternoon games. The program will switch from game to game to show highlights and plays as they happen — just like what football fans do now except they will be doing the work for you. Comcast and Dish Network have already secured carriage rights for the channel. 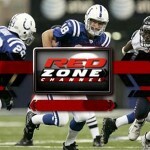 Read more about Dish’s announcement to carry NFL Redzone.